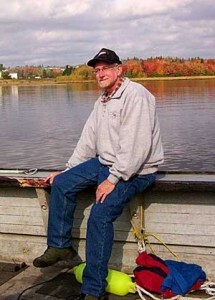 Doug Underhill was born in Newcastle, New Brunswick, Canada, and has lived on the Miramichi all of his life. He graduated from Harkins High School before attending St. Thomas University in Fredericton, NB. He obtained his B.A. (Honours in Literature) in 1968 and B.Ed. in 1969. He taught English at Harkins High School and Miramichi Valley High School where he was English Department Head. He served the NB Council Teachers of English as both Vice-President and President, and chaired the provincial high school Drama Festival. He was given the “Outstanding Teacher Award” by the NB High School Council in the year 2000. He retired from teaching in June of 2000. River Poems is his 11th book and his third collection of poems. His 10 previous books include three children’s books: The Popcorn Cat and The Pumpkin Moon, The Popcorn Cat and The Pumpkin Moon Make New Friends, and Popcorn and Pumpkin Save Tommy’s Christmas; two books of poetry, The Lazy Time of Day and Only The Salt, a humourous Miramichi Dictionary, and two folklore books Miramichi Tales Tall, and True and Proud Stories From The Miramichi, his sports book Miramichi Baseball & Softball, and Miramichi Fishing Stories: All True of Course. Doug Underhill has been a sports journalist and freelance writer for Moncton Times & Transcript and wrote for the Miramichi Leader/Weekend for over 20 years. Two of his stories were picked up by the CP Wire Service and Broadcast News. He also writes a weekly fishing column for the Moncton Times & Transcript and Miramichi Leader/Weekend. He was chosen for the Miramichi Leader’s “2001 Reader’s Choice Award as the No. 1 Favourite Journalist/Columnist in the Miramichi.” In 2005 he was presented with “The Media Coverage Award” by Softball New Brunswick. Some of his work has appeared in Atlantic Progress and Occasions. In the past he has written outdoor columns for The Maritime Sportsman. Underhill has given numerous readings and workshops on writing for literacy groups and in New Brunswick schools, and has read on CBC Radio many times. With Bob Gillis he produced three videos titled The Dungarvon Whooper, The Headless Nun and The Great Miramichi Fire of 1825. Underhill was part of a documentary film on the Miramichi River produced by Discovery Channel in its Great Canadian Rivers series. He has also appeared in both a live performance and later a national radio broadcast of the CBC’s Basic Black hosted by Arthur Black. A founding member of the Writers’ Federation of New Brunswick, he served as one of its directors for many years. 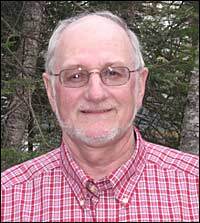 In addition he has represented New Brunswick on the Atlantic Canada National Book Festival Committee. His work has appeared in Canadian Stories. In 1987 Underhill received an “Honourable Mention” in the Writers’ Federation of New Brunswick poetry contest. Recently, Underhill received “Honourable Mention” for his poem “Arriving in Newfoundland” in the Cherish Our Heritage contest. Both this poem and “Hockey Dreams” were published in Cherish Our Heritage anthology that came out in the summer of 2004. His poems have also appeared in The Nashwaak Review, The NB Reader, Stubborn Strength (a NB Anthology), The Cormorant, Vital English and The Miramichi Leader. One of his stories has been published in Canadian Stories anthology titled Canadian Veterans’ Stories. Underhill was a member of the founding committee to set up a New Brunswick Arts Alliance and is a member of the Miramichi Writers’ Group. To receive Doug's Miramichi Fishing Report by email every Thursday, fill out the form and click Submit.